Getting married is such an incredibly positive time for every couple. And it’s important for your wedding day to reflect your values and spread the love. Planning an environmentally friendly wedding can help you to share the positivity and create a truly feel-good, happy event. 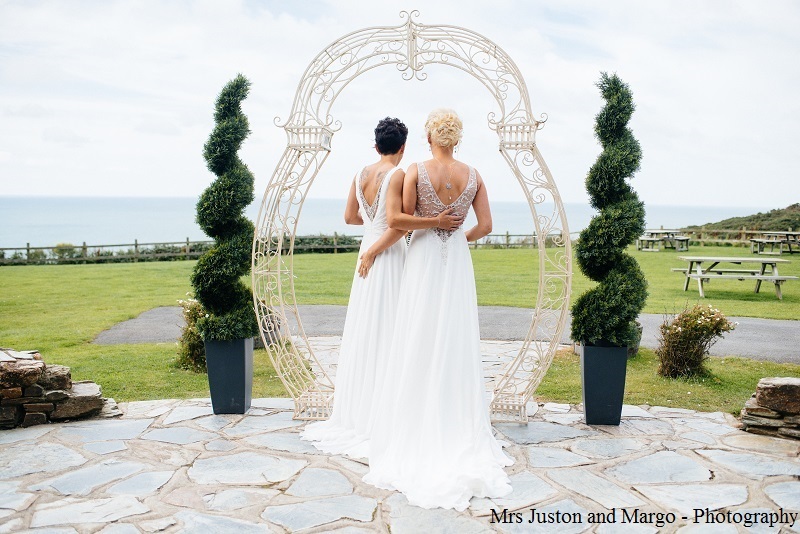 You’ll be surprised at how easy it can be to organise a green wedding with just a few simple steps and substitutions; check out our hints and tips to help you plan an eco-friendly wedding day. It's important to "Go Green" where and when we can and now we can create a green wedding! Some of the best and most original wedding outfits are vintage pieces that you won’t see anywhere else. If you love the idea of a unique period look for your wedding, sourcing pre-loved outfits is a fantastic way to ramp up the style while minimising your impact on the environment. Specialist second-hand wedding outfitters like Oxfam have a wide variety of different styles on offer for brides and grooms alike, and the unique nature of every outfit can help avoid any ‘matchy-matchy’ effects when dressing two brides or two grooms. As well as helping to keep pre-worn items from landfill and saving energy on manufacturing new clothes, buying your outfits and accessories from a charity ensures that your wedding budget is spent on making the world a better place. Alternatively, you could look to older members of your family for pre-loved heirlooms that will add extra meaning and sentiment to your special day. Encouraging guests to go vintage too will add to the unique style of your wedding day and will make your photos extra special. When decorating your venue, there’s an amazing array of eco-friendly accessories to choose from. Reusable fabric bunting, upcycled objects and reusable tableware (no throwaway straws or cups) will all make a difference to your carbon footprint, as well as giving your venue a solid sense of style. There is one item on every wedding planner’s list, however, that does have to be throwaway. Throwing confetti is one of the key moments in any wedding; it’s a snapshot that will endure whenever you look back on your memories of the day. Substituting traditional confetti for environmentally friendly options (such as BioFetti available from suppliers such as Confetti Supermarket) that biodegrade easily into the earth is a simple way to ensure that your wedding day doesn’t leave anything behind except happy memories. It wouldn’t be a wedding without flowers. But cut flowers droop and die; and while their blooms are beautiful, they aren’t always an eco-friendly option. Instead of traditional bouquets and buttonholes, why not go for handcrafted paper or fabric flowers? These can look stunning in photographs, and unlike cut flowers they can be treasured for years to come. To decorate your venue, botanical accessories like potted blooms, succulents or even small trees can provide natural scent and gorgeous visual effects, for a wedding venue that is literally alive with colour! The biggest environmental impact of a wedding is often the fuel burned by guests travelling to the venue from afar. For a green wedding, try to reduce your carbon footprint by choosing a venue that is easily accessed by public transport – or if it’s a little off the beaten track, lay on minibuses to transport your guests there and back with ease. (They’ll be glad of the excuse for another glass of champagne as they don’t have to drive!) 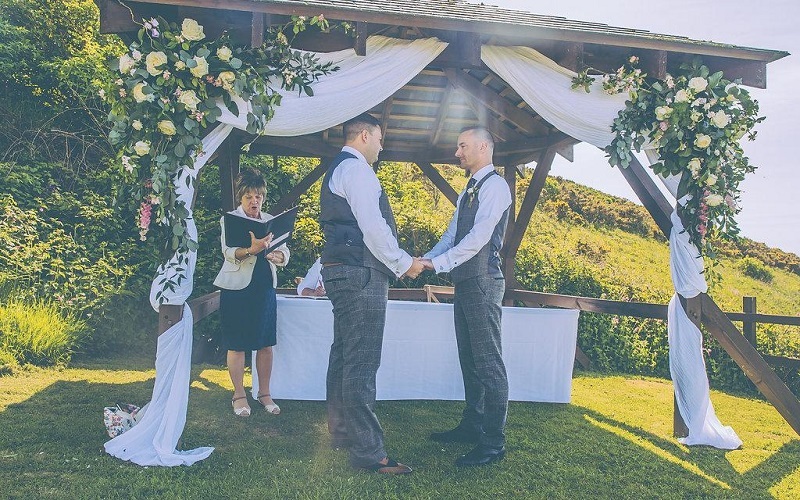 A one-stop venue that combines the ceremony and reception in one place will save travelling between two sites, as well as making the day more convenient for your friends and family. Another easy way to save on energy use is to hold your wedding in the summer. A (hopefully) sun-soaked wedding day will mean less need for heating and lighting inside your venue. Having saved energy on heating, try to avoid using air conditioning, too; you could choose a well-insulated building or one with thick walls like a traditional country house. Or even have your wedding outside! Your catering can also make a difference to your environmental impact. Offering a seasonal vegetarian or vegan menu is a great way to reduce the energy expended on producing the food that makes up your wedding breakfast. If you don’t think carnivorous guests will be happy with that, you can look at reducing the amount of meat you do serve (make it a case of quality over quantity!) Alongside the food, serve tap water rather than bottled, and source beer from a local brewery.